Have you ever thought about what is the major waste of time in everybody's lifespan? I am not talking about lost time you made by choosing bad movie or book. Nor about spending months in company of incompatible people or within single relationship with no spark of good chemistry. I am not even thinking about wasting years within poorly chosen school or job. No. There is one more, even worse time-waste we all are experiencing no matter who we are or where we come from. On daily basis. I am referring to one simple thing we are all taking for granted. Sleeping. Something we do for eight or so strait hours every night. No exceptions. Something we do by design of nature. Now, currently, in this very century, if we are talking about lifespan globally, it is estimated to be around 70 years in average. Someplace little more, other places little less, depending on quality of life within our societies. Well, if you ask me and considering enormous vastness of the universe in both space and time, this seven decades are nothing else but just one small cosmic blink of a second. Perhaps even shorter. We are, indeed, spending time on this Earth for really not too long. And we sleep one third of that time. I am sure human lifespan with that much time spent unconscious and asleep deserves a special post with scientific and philosophic glimpses to the topic but I am mentioning it today in the story dedicated to virtual reality for a reason. But let's get to that later and go into the dawn of the virtual and holographic world that is, as it seems, starting to knock to our lives more seriously than before. Thankfully to many sci-fi movies, and I am always quoting two great films from 1999, "The Matrix" and "The Thirteenth Floor" I am positive that lots of people are familiar with the concept. It is all about entirely computer-simulated reality with avatar-characters fully in control by users via futuristic gadgets mounted to affect their brains directly and trying to avoid human senses in the process. Of course, current technology and virtual reality is far away from the fiction but still with tremendous CPU power of nowadays computers and their miniaturization it is starting to be acceptable by wider audience. With their price and quality, VR arena today is all about "Oculus Rift" and "Google Cardboard". In current edition, more expensive 'Rift' is hardware equipped headset with high quality OLED displays and 3D sound with mandatory connection to Windows based PC that is running the simulation. 'Cardboard' is different and entire virtual reality is running in the smartphone mounted in the headset which is basically just a cheap way to force each of your eyes to look into appropriate half of the phone's display. All the software and hardware requirements needed, like accelerometer, gyroscope, and a magnetometer must be built in the smartphone. The fact that vision is completely focused on the virtual world gives us several pros and cons. It is obvious that real world is fully blocked so there is no much movements while using VR headsets but this isn't really disadvantage as it looks like on first thought. If we disregards all the gaming that naturally comes into first focus, blocking reality gives this technology various advantages in simulation scenarios and training for real environments and events. Just think of flight simulators or any training in operating heavy machinery and engineering. Or within military and scientific training of handling unfamiliar settings. Perhaps the most beneficial usage of virtual reality will be in various therapeutic treatments. For example 'my favorite phobia', or what scares me the most, even today in my adult life is the fear of heights or acrophobia. Like with any phobia, the best treatment is to face the fear as directly as possible. Well, in this very case you can't force inexperienced people to face it by climbing high buildings in construction or to climb up steep mountains and peaks. As in many other cases and treatments, with acrophobia virtual reality comes to rescue and literally it is the only valuable treatment effective on the short run and now you can even practice various scenarios in your home. Like in following example with saving a kitten on a narrow plank hundreds of meters above the street. However and even though there are several tools that help you walking alone in the room and gives you sensation of presence and control, like in Oculus case Constellation and Touch tech, or withing Cardboard, possibility to turn on your smartphone camera and use video stream in order to see where you actually are, these are simply not introducing your headset into fully augmented reality arena where virtual reality and real world are perfectly mixed. Augmented reality is more a virtual addon for the real world. Something like plugin if we use computer software analogy. The tool that should enhance previous state of the system with additional features. Within commercial market, Google recognized this first and couple of years ago tried with its Glass project - Android based headset or better say optical head-mounted display made with LCoS (liquid crystal on silicon) technology. Being a first and only player on the market and the fact that Google Glass was intended for both, indoors and outdoors and without any restrictions brought a wave of criticism in regards to privacy and safety. After a while and no doubt partly due to not too great reception and partly due to the fact that other big player started developing similar gadget with enhanced features, last year Google decided to return Glass into lab and soon enough we will have Glass 2.o to review. That other big player is of course Microsoft and their Hololens. Many would say that they learned on their competitor's feedback, and their developer edition of the headset, presented just couple of days ago, arrived with numerous differences. 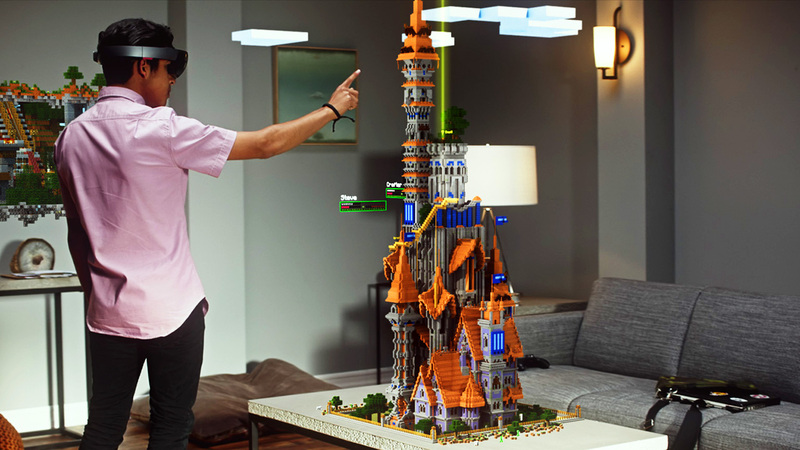 Hololens is covering wider field of view (FOV) and instead of projecting the image into single eye, they are using fully 3D, wide view displays in order to render virtual objects in your, for example, living room. What is more important, as it seems, Microsoft is focusing more into software specially designed for this occasion instead of using apps already in existence. This is entirely new world with ultimate possibility to, for example, present detailed information on other people wearing same headsets and entering your field of view either literally (in the same surroundings) or virtually presented with holographic rendering. In below embedded TED show you can see Alex Kipman, the chief inventor of the Hololens, presenting what it is designed for and how they can be used. I have seen remarks on the net from people saying that they will rather wait for the technology to mature enough and get rid of any, at least, visible gadgets they need to mount on their heads or wear as an eye aid, but for me and perhaps many others, this is not an obstacle at all. I am forced to wear eyeglasses nevertheless and I literally have nothing against any improvements and augmentations. As long as they are made with power on/off switch I can use desirably. I remember when I read novels "Daemon" and "Freedom" by Daniel Suarez with a plot that includes social network of tomorrow with people wearing HUD headsets all the time, that my reaction was entirely positive to the main idea and writer's vision. I especially liked how members of society was able to see name tags virtually added above others in the field of view and possibility to rate or evaluate them by assigning 1-5 stars upon social interaction, just like we rate movies or books within Amazon or IMDb websites. Possibilities are endless - if Hololens and other future social enabled headsets start using GPS based network, like in Suarez novel, we would be able to choose teachers, doctors and even cashiers in the mall by simply reviewing number of rating stars floating above their heads. Finally, let's get back to the sleeping "issue" of humanity. I can't be thinking of better invention than solving the problem of how to choose dreams during sleep with free will. 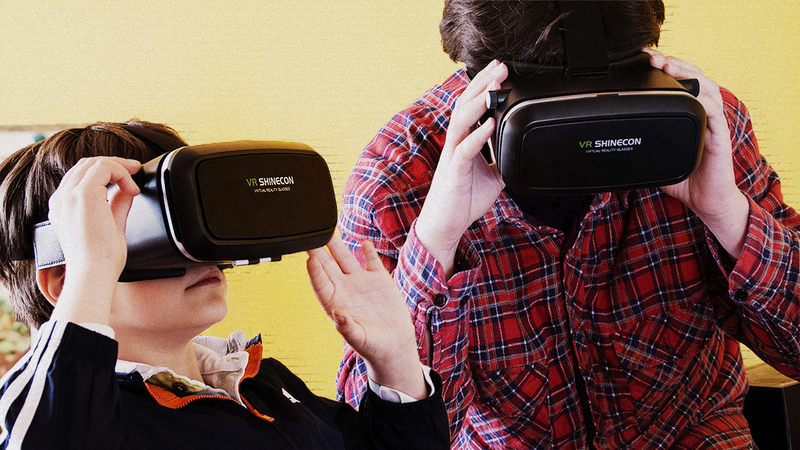 What if there is a way to use virtual reality instead of random dreams? To somehow project virtual world into our brains so we could be able to continue with our lives even while resting? It looks far-fetched sure, but if you asked me just 15 years ago that there will be a chance to vividly see a hologram of my friend, perfectly rendered in my eye glasses with whom I would be able to interact just like it is really in my room, I would probably be extremely skeptical. If in the future we would be able to continue with our lives even during sleep, by entering some sort of dream social network that would really be something special and had potential to prolong human lifespan considerably. If nothing else it would be great idea for a book.